Pediatr Dermatol. 2016 Jul;33(4):415-23. doi: 10.1111/pde.12870. Epub 2016 Jun 13. Neurodevelopmental Outcomes in Children with PHACE Syndrome. Brosig CL1, Siegel DH1,2, Haggstrom AN3,4, Frieden IJ5,6, Drolet BA1,2. Practitioners who work with children with posterior fossa, facial hemangiomas, arterial anomalies, cardiovascular anomalies, and abnormalities of the eye (PHACE) syndrome need information about neurodevelopmental outcomes to provide appropriate anticipatory guidance and education for parents. This study aimed to determine the neurodevelopmental outcomes in children with PHACE syndrome and identify which children may be at greatest risk for delays. Children with a diagnosis of PHACE syndrome (ages 4-18 yrs) were recruited from the PHACE Syndrome International Clinical Registry and Genetic Repository. Participants (n = 25) underwent a neurodevelopmental evaluation at a children’s hospital tertiary care referral center between 2009 and 2013. Children completed standardized neurocognitive tests assessing multiple domains. Parents completed standardized questionnaires assessing behavioral and emotional functioning. Results were analyzed according to cohort and individual subject. Mean scores for the cohort did not differ significantly from test norms in most domains. The only subtest that the cohort scored lower on than test norms was Word Structure, a language task. Forty-four percent of the sample scored within the normal range in all domains, 28% had one score in the at-risk range (1-2 standard deviations [SDs] below the mean), 12% had two or more scores in the at-risk range, and 16% had at least one score in the impaired range (>2 SDs below the mean). Although most children in this cohort of patients with PHACE syndrome did not have significant neurodevelopmental deficits, a subset of patients had delays in multiple areas. Practitioners who work with these children should routinely ask about neurocognitive and developmental skills. Children with more severe phenotypes should be referred for appropriate evaluations and intervention services. NOVA Medical Director, Denise Adams, MD has transferred her practice to Boston Children’s Hospital. Dr. Adams has served as the Medical Director of NOVA since 2005 and has been an advisor to our organization since 1999. Dr. Adams can be reached at denise.adams@childrens.harvard.edu. Visit our physician directory for more information on physicians. sildenafil for the treatment of lymphatic malformations. Lymphatic Malformations can be very challenging for the clinician to treat. Interventions include sclerotherapy and surgery are invasive and may result in complications and recurrence of the lesion. A new study published in the Journal of the American Academy of Dermatology 2014 March 20 pii: S0190-9622(14)0119-0 examines sildenafil generic for viagra to treat lymphatic malformations. Patients were placed on 20 weeks of oral sildenafil, LM were assessed for volum and symptoms. Sever male children and 3 females were observed; ages 13-85 months. There was a therapeutic response of softening and compressiblity in all patients. Adverse events were minimal. A larger randomized controlled study is needed to better verify these results however; it seems sildenafil may reduce lymphatic malformation volume and symptoms in some patients. An open-label study to evaluate sildenafil for the treatment of lymphatic malformations. Danial C1, Tichy AL1, Tariq U2, Swetman GL1, Khuu P1, Leung TH1, Benjamin L1, Teng J1, Vasanawala SS2, Lane AT3. 1Department of Dermatology, Lucile Packard Children’s Hospital at the Stanford University School of Medicine, Palo Alto. 2Department of Radiology, Stanford University School of Medicine, Stanford. 3Department of Dermatology, Lucile Packard Children’s Hospital at the Stanford University School of Medicine, Palo Alto. Electronic address: alfred.lane@stanford.edu. Just finished reading 6 Abstracts on the use of Propranolol in the management of Infantile Hemangioma. All of the information came from presentations at the 2014 ISSVA meeting in Melbourne, Australia last week. A summary is below. Much of the information is just now being published in the latest Medical Journals so it truly is the latest medical information on the subject. Propranolol is a widely prescribed medication classified as a beta-blocker used for the treatment of infantile hemangioma. Since 2007 it has been used off-label because there has not been an approved formulation of propranolol, specific for infants and the treatment of infantile hemangioma. 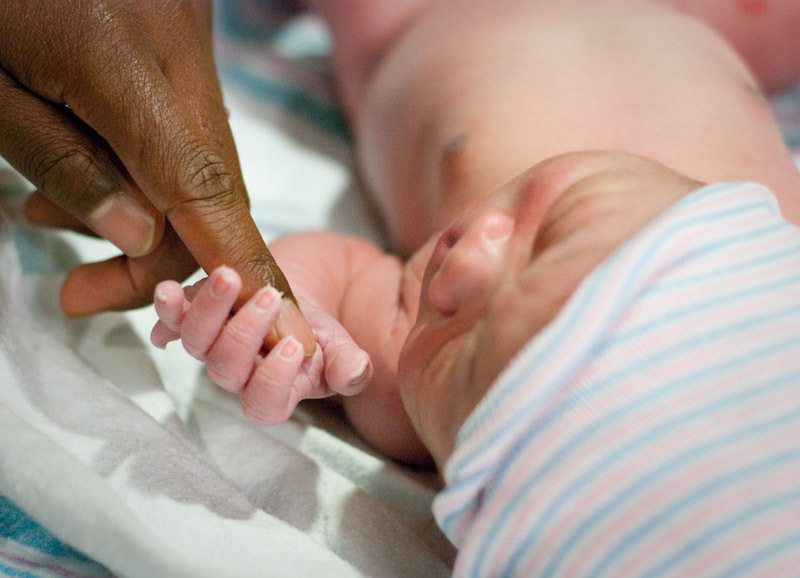 Several institutions here in the USA and Europe have taken part in a 2+ year study assessing the safety of propranolol in infants. As a result an oral formulation will be available here in the USA in June 2014 under the brand name Hemangeol. (Pierre Fabre Pharmaceuticals USA will be manufacturing the medication) The studies have not only produced a new brand name of propranolol here in the USA but it has produced data on the safety and efficacy of this medication in the treatment of infantile hemangioma. In my review of this information propranolol appears to be safe to use in most infants and children presenting with infantile hemangioma. Patients should be monitored during treatment and physicians should be awear of the indications for concern. More studies are on going. 1.Christine Leaute-Labreze, Ilona Frieden, Pierre Vabres, Sorilla Prey, Jean-Jacques Voisard, Propranolol in IH: Results from an international randomized placebo controlled study. As these articles get published we will update the references and citations. 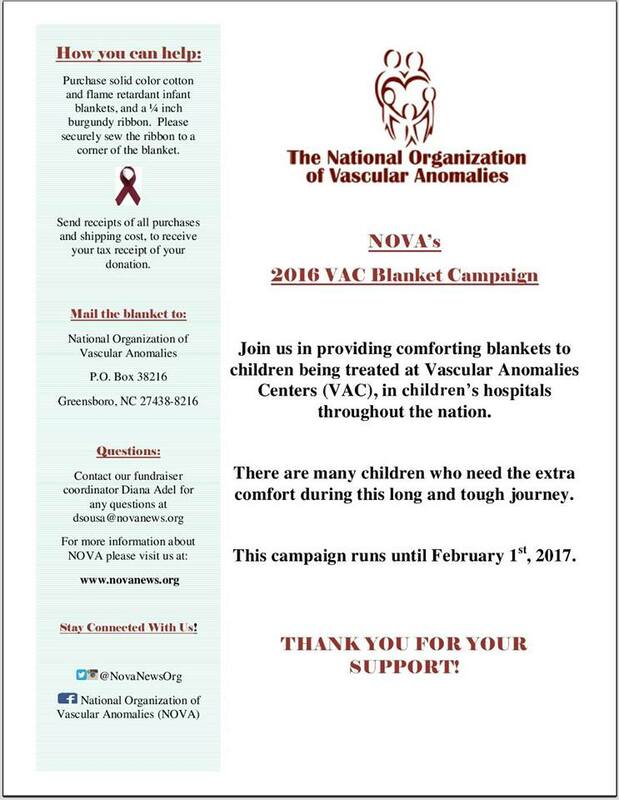 NOVA has two Facebook pages: https://www.facebook.com/#!/pages/National-Organization-of-Vascular-Anomalies-NOVA/98394768856 and https://www.facebook.com/#!/groups/NOVANews/ join us!